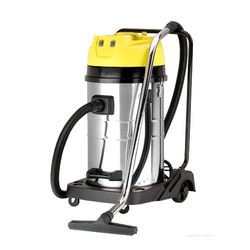 High quality and reliable cleaning machines is all about supplying cleaning solutions which can bring value to customers and help them to achieve quality cleaning performance and enable them to focus on their business – whether at work or at home. Market players of cleaning machines are strategically focusing on the development of their product sales and excellent services to build a strong and sustainable business across the globe. As the Cleaning Machine Market is highly fragmented and to strengthen the company’s offerings and position into the market, leading vendors are targeting acquisitions as their key strategies to pursue growth opportunities. For instance, in 2017, Tennant Company announced to acquire Italy based designer and manufacturer of innovative professional cleaning equipment IPC Group for USD 350 million. The acquisition aims to expand the company’s presence in Europe and accelerate the growth in the Middle East & Africa region. Nilfisk’s acquisition of Pressure Pro Inc. and Hydro Tek U.S. based leading manufacturers of high-pressure washers head increased the company’s revenue in high-pressure washers segment by 27% in 2016. Moreover, Nilfisk acquired Industry-Clean (Cape) (Pty) Ltd a dealer of products, accessories, service and janitorial supplies in Cape Town. The purpose of the acquisition was to establish new customer base and market position in South Africa. Moreover, innovative and advance technologies such as robotics and internet of things (IoT) are likely to play a mounting role in growing the demand for cleaning machines. Development of new sales channels such as online sales access is also expected to bolster the growth of global cleaning machine market. Global cleaning machine market is anticipated to grow at CAGR of 4.0% during the forecast period, owing to the increasing living standards and cleaning requirement mainly in emerging economies. Global cleaning machine market valued USD 0.74 billion in 2016, and sales increased by 5% in 2016 where online distribution channel accounted for 15% of total global cleaning machine sales. Asia-Pacific is the leading region for global cleaning machine market, owing to the presence of large production of cleaning machines in China. Asia-Pacific cleaning machine market valued USD 0.23 billion in 2016 and is projected to witness healthy growth during the forecast period. China accounted for over 30% share of global production of cleaning machines. Europe & Middle East & Africa region are the fastest growing region for cleaning machine market, owing to the presence of leading vendors in the region. Italy and Hungary are the major countries of Europe with maximum number of production sites for cleaning machines. Changing lifestyle, increasing number of working women and rising awareness on cleanliness and hygiene for household purpose and growing demand for cleaning machines for industrial applications are supporting the growth of global cleaning machine market. As per Organization for Economic Cooperation and Development predicts the global middle class will increase from 2.39 billion in 2015 to 3.86 billion by 2025. Rising per capita income and improving economic prosperity is expected to boost the aspirations for affordable products and services which eventually contribute in the mounting sales of cleaning machines. However, dependency of companies on indirect sales channel such as regional dealers or suppliers can be a risk which may cause delivery issues, quality issues or price increases for the consumers. Also significant change in consumer’s demand towards low-cost cleaning machine is expected to impact negatively on the revenue and growth of global cleaning machine market. 8.2.17. Blue Wave Ultrasonics, Inc.